Benefiting Art on The Atlanta BeltLine, Art for Action is an evening of art, live music, catering by Dennis Dean, cocktails and conversation, and more! With Fall just around the corner, there’s no better time for some inspiration around the home! 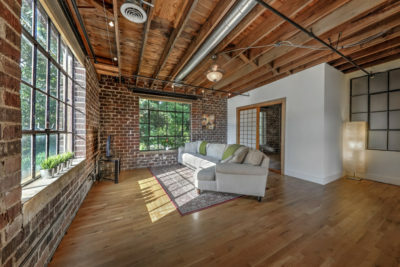 Whether you are looking to explore the beautiful neighborhoods of Atlanta or renovate your own home, these 3 Home Tours to See Around Atlanta This Fall will inspire all tastes. 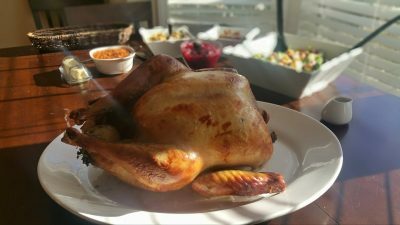 Explore the neighborhood eateries, shop the local spots, and fall in love with the beauty of each home – large and small, historic and modern – and everything in between! Guests will enjoy the unique charm of each neighborhood and home throughout the tours. From classic, historic beauty to contemporary, sustainable-living spaces, these 3 Home Tours showcase in the unbeatable range of lifestyle and decor throughout Atlanta. The 2018 season of Art on the Atlanta BeltLine is celebrating its biggest year yet! Now in its 9th year, the exhibition will include more focus areas, new events, and a year-long temporary exhibition. 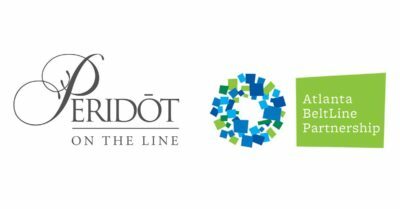 Enjoy this year’s new collaborations, special exhibits, and experiences of community engagement – all spanning seven miles of trail on the east and west sides of Atlanta! 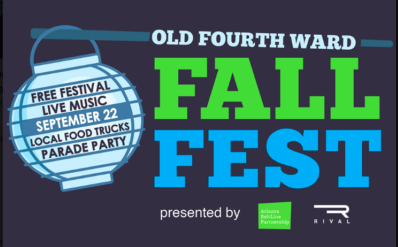 Celebrate a free day of family fun with the 4th Annual Old Fourth Ward Fall Festival! The park features live music, food trucks, beer tastings, DIY lantern making, and much more! The incredible family-friendly day wouldn’t be complete without the best viewing spot for the Atlanta BeltLine Lantern Parade in the evening! 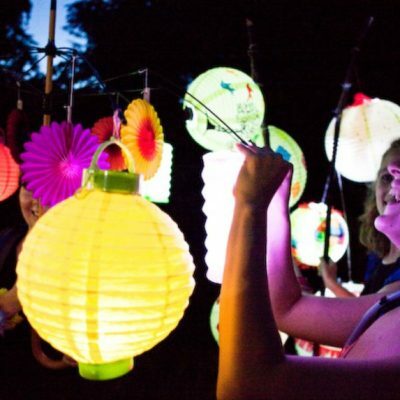 Celebrate the opening of Art on the Atlanta Beltline with the Atlanta Beltline Lantern Parade! Parade line-up will begin at 7:00 p.m. on Irwin Avenue at the start of the Eastside Trail. Participants will line up on the newly finished south section of the trail towards Edgewood Ave. The parade kicks-off at 8:00 p.m., traveling for two miles to the after-party at Park Tavern! The 6th annual Atlanta BeltLine Wine Stroll returns with an all-star cast of restaurants and retailers! Join the Atlanta community for the one-mile walk filled with wine tastings and light bites along the Eastside Trail of the Atlanta BeltLine. Throughout the afternoon, sample wine and light appetizers from over 20 selected vendors along the BeltLine! In addition to the other venues, VIP ticket holders will enjoy exclusive access to VinoTeca’s tasting room from 1:00 – 4:00 p.m.
Get ready for four days of art and entertainment at the Art.Movement.Film.Music (AMFM) Summer Fest on the Westside Trail of the Atlanta BeltLine! As part of 2018 Art on the Atlanta BeltLine, the festival will be filled with exhibitions, pop-ups, musical acts, a speaker series, food trucks, and so much more! Art on the Atlanta BeltLine is hosting a Family Paint Day on the Atlanta BeltLine’s Westside during the “BeltLine Walls” mural installation this weekend! In celebration of the 2018 exhibition season, local families are invited to paint alongside some of Atlanta’s most exciting muralists, enjoy a live DJ, and experience art on the Atlanta BeltLine! 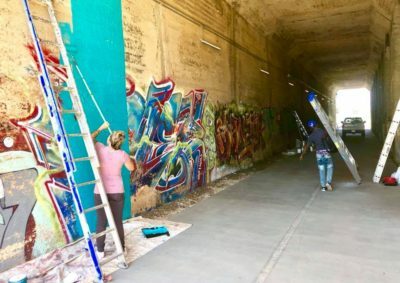 Through August 12th, “BeltLine Walls” muralists will paint their murals beneath the Lee Street/Murphy Avenue tunnel on the Atlanta BeltLine’s Westside.